← Readers’ Mailbag: Should Legendary Development Have Occurred More Rapidly for Alexander the Great than Jesus? One of the issues that pops up frequently, when discussing the authorial anonymity of the Gospel of Matthew, is how a number of Classical authors refer to themselves in the third person, when narrating historical events in which they themselves had taken part. This point is raised, due to the fact that the disciple Matthew is mentioned in the gospel attributed to him (Mt. 9:9-13), but is only described in the third person, rather than identifying himself in the first person as the author of the text. 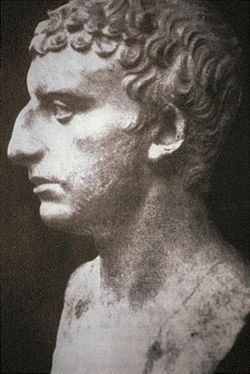 It is claimed that this omission should not count against the traditional authorial attribution of Matthew, since authors like Thucydides, Josephus, Xenophon, and Julius Caesar likewise describe themselves in the third person within their own narratives, without switching to the first person when they appear. Some additional nuance needs to be incorporated to address this point, however, since the authorial use of the third person in these Classical authors differs in a number of ways from how the disciple Matthew plays a role in the Gospel of Matthew. 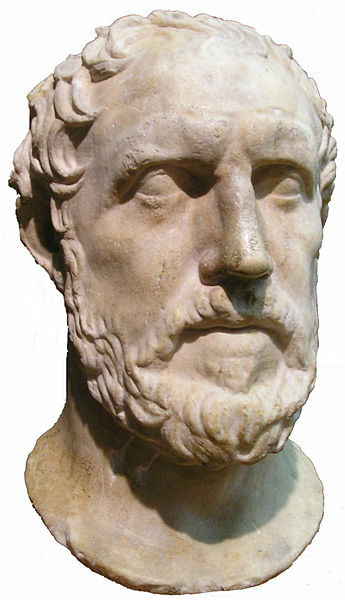 Thucydides, an Athenian, wrote the history of the war between the Peloponnesians and the Athenians, beginning at the moment that it broke out, and believing that it would be a great war, and more worthy of relation than any that had preceded it. This manner of introducing his history is important, since it both clarifies to the reader that Thucydides is the author of the text, while also connecting this figure with the same “Thucydides” who is later depicted in the third person as taking part in the war. In fact, Thucydides even reinforces the point, by naming himself again as the author when he first appears (4.104.4). The focus on Jesus in the introduction, as opposed to naming the (literal) author of the work, has been argued by scholars to imply that it was actually Jesus who is meant to be understood as the (symbolic) author of the gospel. As Martin Hengel (The Four Gospels and the One Gospel of Jesus Christ, pg. 49) explains, “[T]he evangelists are not meant to appear as ‘biographical’ authors like others … The real ‘author’ of the one Gospel was Jesus Christ himself.” This is not the case with Thucydides, who is clearly meant to be a biographical author, due to the self-identification that he provides. Beyond just the introduction, there are other ways that authors who describe their actions in the third person can still function as “biographical authors” within the narrative. One way is to describe events particularly from their own point of view, so that they function as an eyewitness (even if in the third person) to the events set around them. Josephus, for example, goes into considerable detail describing the plot of a certain John of Gichala against him and likewise his own surrender to the Romans. [T]he author of Matthew’s Gospel intended to associate the Gospel with the apostle Matthew but was not himself the apostle Matthew. Matthew himself could have described his own call without having to take over the way Mark described Levi’s call. 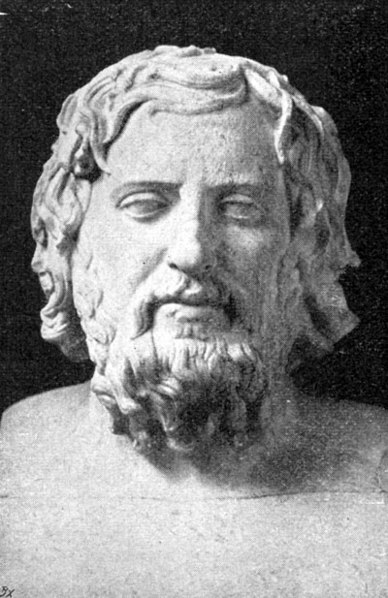 The viewpoint of the Anabasis is unequivocally Xenophon’s. The third person narrator does not give equal time—or indeed any time—to the viewpoint of others, or attempt a balanced overview of the Cyreans’ various experiences. Indeed, the Anabasis begins and ends where it does precisely because it tells Xenophon’s story, from his viewpoint. The Gospel of Matthew is not written in this way. In the first gospel, the disciple Matthew is only a minor character who appears twice (Mt. 9:9 and 10:3), and is actually featured less than other characters, such as Peter. Whereas Xenophon’s Anabasis can be considered “biographical,” by elaborating on his part in the expedition, the same can scarcely be claimed of Matthew’s role in the first gospel. “Caesar” is everywhere in the Civil War. In fact, only three times do we read more than three paragraphs without encountering a reference to Caesar. He is more frequently the subject of verbs (42% of the time) or he is in the possessive case (28% percent of the time, frequently in expressions such as “at the arrival of Caesar” or “Caesar’s calvary”). Caesar neither at that time [tum] returned any answer, nor do we now [nunc] think it of importance enough to be transmitted to posterity. Here, the narrator breaks from describing “Caesar” in the third person, in the first half of the sentence, to instead use the first person (“we”), in the second half. First off, the use of the first person plural does not imply multiple authors. Not only do other Classical authors likewise describe their own first person narration in the plural , as a sort of “royal we,” but there is also another instance in the Civil War (3.70) in which the narrator uses the first person singular (credo = “I believe”). 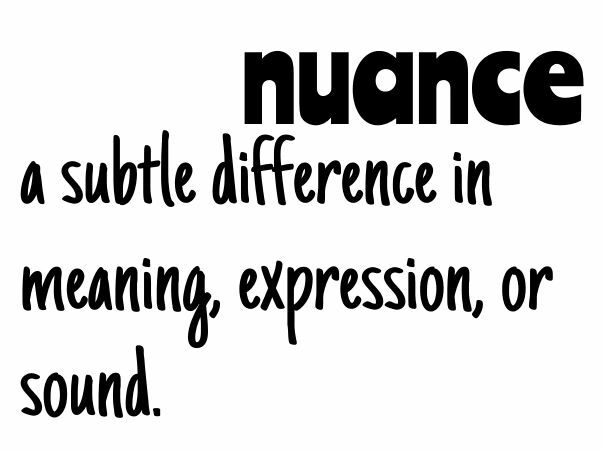 The ability of the narrator to switch from first person plural narration to the first person singular indicates that only a single author is implied for the text. There are no instances in the first gospel in which the character “Matthew” is described taking an action, in the first half of a sentence, to then be followed up in the second half with a statement to the effect, “and now we still think it was justified.” In fact, the Gospel of Matthew does not contain any statements by the narrator in the first person at all (something discussed by Armin Baum in “The Anonymity of the New Testament History Books”). Instead, the Gospel of Matthew is narrated entirely by an external, third person narrator, quite different from the narratology of Caesar’s work, which quite frequently interjects authorial judgements in the first person. This is a major reason why the narrative of Matthew is described as “anonymous,” but Caesar’s narrative is not. When considering the nuance, therefore, of how the Classical authors above describe themselves in the third person, for events in the narrative in which they had taken part, it becomes clear that none of them can properly be compared to the narratology of Matthew. Both Thucydides and Josephus name themselves as authors in the introduction of their works, whereas the Gospel of Matthew does not identify its author’s name at the beginning. For Xenophon, his narrative is overwhelmingly framed in light of his own perspective, whereas the disciple Matthew is merely a minor character in the first gospel. Even the scene of Matthew’s calling by Jesus is lifted from another text, strongly undermining the notion that this scene is told from Matthew’s perspective. 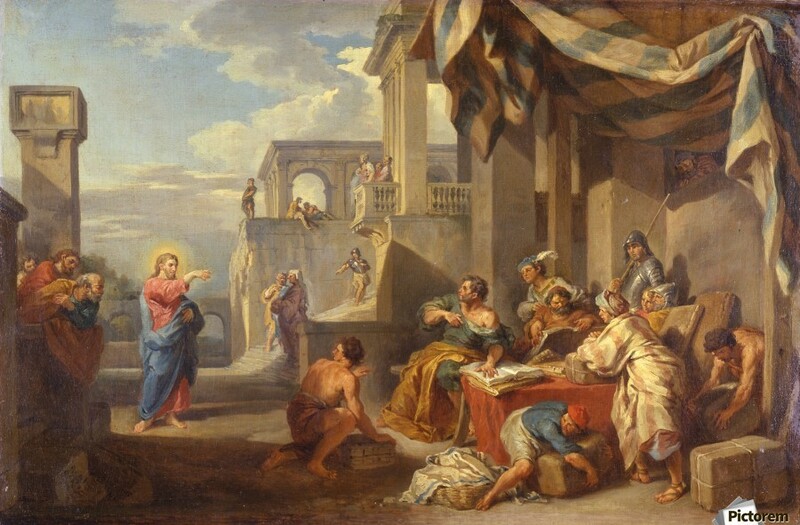 Caesar is likewise the predominant character of his commentaries, and there is even a passage in the Civil War in which he appears to connect the name “Caesar” with that of the narrator–a kind of statement that the Gospel of Matthew lacks. The authorial use of the third person in these Classical texts is thus quite different from the anonymous narration in Matthew. Even if Thucydides, Josephus, Xenophon, and Caesar describe themselves in the third person, they do so in a “biographical” manner, which the two instances (Mt. 9:9 and 10:3) that describe the disciple Matthew in the first gospel can scarcely be read as. As such, I do not think that these Classical authors can aptly be compared to the narratology of the Gospel of Matthew. For an analysis of how the “we” passages in Acts (16:10-17; 20:5-15; 21:1-18; 27:1-28:16) do not employ the same kind of authorial or eyewitness plural first person narration found in other Classical texts, see William Campbell’s The “We” Passages in the Acts of the Apostles. 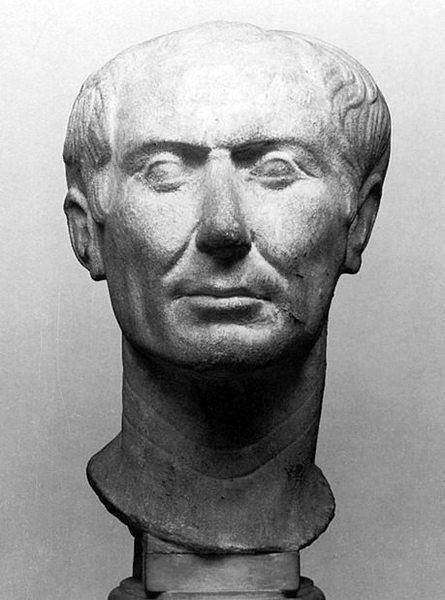 Likewise, there are no instances in which Luke (the putative author of Acts) describes himself in the third person, within the first half of a sentence, to then follow it up with the narratorial use of the first person plural, in the second half, as seen with the example of Julius Caesar above. This entry was posted in Classics, Exegesis, History, Literary Theory and tagged Anonymity of the Gospels, Authorial Third Person, Calling of Matthew, Gospel of Matthew, Historiography, Josephus, Julius Caesar, Matthew the Disciple, Thucydides, Xenophon. Bookmark the permalink. Very interesting analysis! I agree that Matthew was going for more anonymity and the others for an air of objectivity. Saying “I” all the time makes the reader doubt if your account is the entire truth, like “what about the other side to the story?” whereas 3rd person masks some of the initial doubt. Still, I personally would find it odd to have to write something I was involved in in the 3rd person, I’d feel somewhat presumptuous or arrogant, but that’s just me! Love your blog, really insightful! One thing is certain and it is that the Gospel of Matthew is about Jesus Christ in a message of salvation and not a verification that Matthew is writing this as a historian. So the argument with the third person says nothing about the credibility of the gospel when ancient authors mention themselves in the third person quite rightly as the evangelist mentions himself in the capacity as Jesus disciple. It is also impossible to know who Matthew was in the same way as you know who these historians were from a biographical perspective. There are other things in the gospel to judge whether the gospel is true or not this is note one of them.